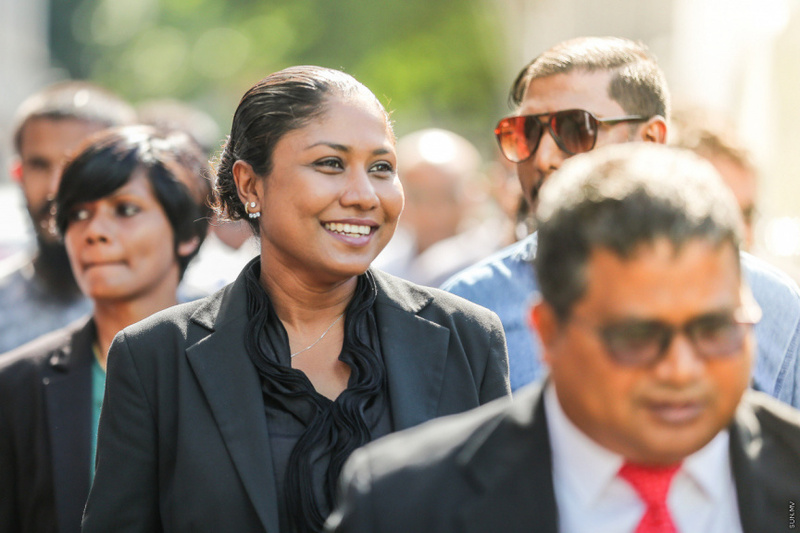 Attorney-at-law Hisaan Hussain, notable for her work as a member of former Maldivian President Mohamed Nasheed’s legal team – has announced her candidacy for the upcoming Parliamentary Elections. Hisaan tweeted this Sunday that she has made the decision to run for the Thulhaadhoo constituency. And asked for the opportunity to represent constituents from Thulhaadhoo, Goidhoo, Fulhadhoo and Fehendhoo. She said in the tweet that the decision was inspired by the opposition’s reform movement. Hisaan has worked as legal representative for multiple opposition politicians in high profile cases over the past five years. She was also the legal representative for the opposition coalition in the constitutional motion filed at the Supreme Court by President Abdulla Yameen Abdul Gayoom to annul the results of the recent presidential elections. Hisaan had also headed the Legal Affairs Department of the President’s Office during Nasheed’s administration, and is at present, the election agent of President-elect Ibrahim Mohamed Solih (Ibu). Elections Commission has announced the Parliamentary Elections will be held in March, 2019.